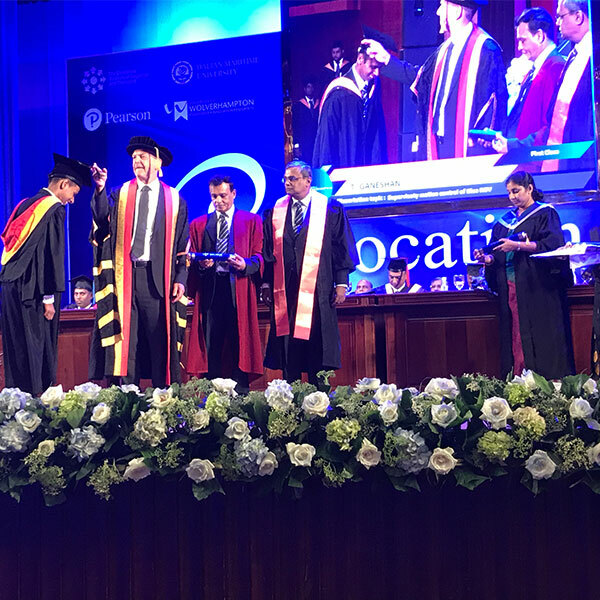 Senior figures from the University have visited Sri Lanka and India as part of the annual graduation ceremonies. 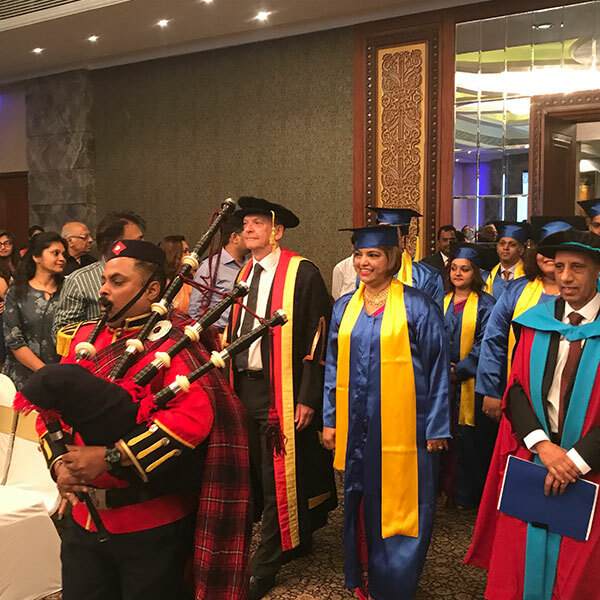 Vice-Chancellor Professor Geoff Layer was on hand to congratulate the students at a ceremony at Colombo International Nautical & Engineering College (CINEC) in Sri Lanka. He said: "It was a pleasure to celebrate the successes of our students with our international partners at CINEC and Podar. Graduation is always a special occasion for students and their families and friends, and I would like to congratulate everyone for their hard work and commitment." Professor Layer also attended a graduation ceremony at Podar World College in India. Podar has been in partnership with the University of Wolverhampton since May 2013.